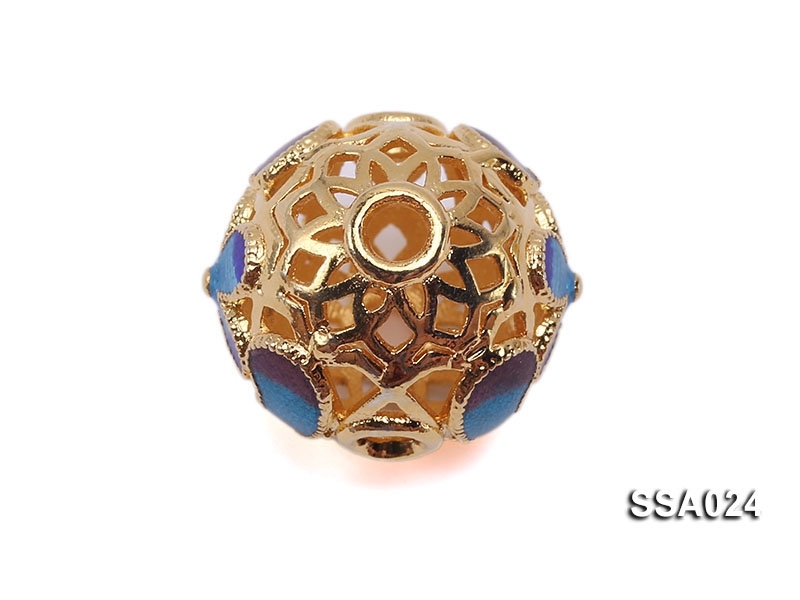 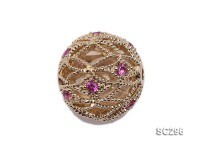 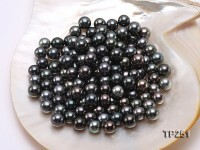 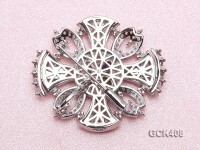 Beautiful 14.5mm ball-shaped silver accessory for sale. 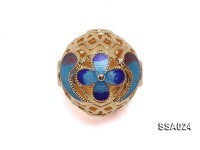 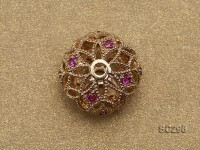 This silver accessory is plated with breathtaking golden metal and cloisonne in flower patterns. 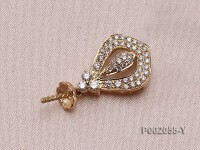 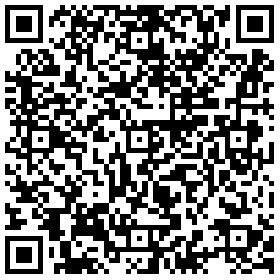 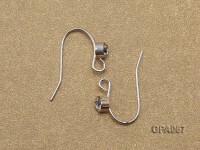 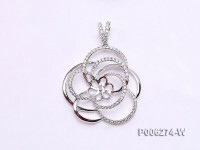 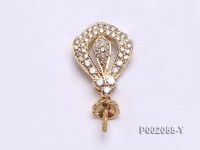 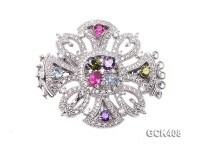 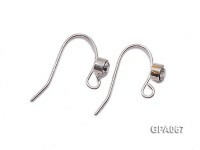 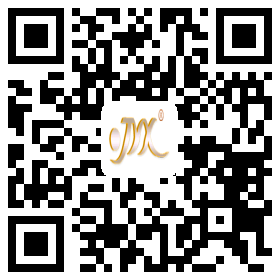 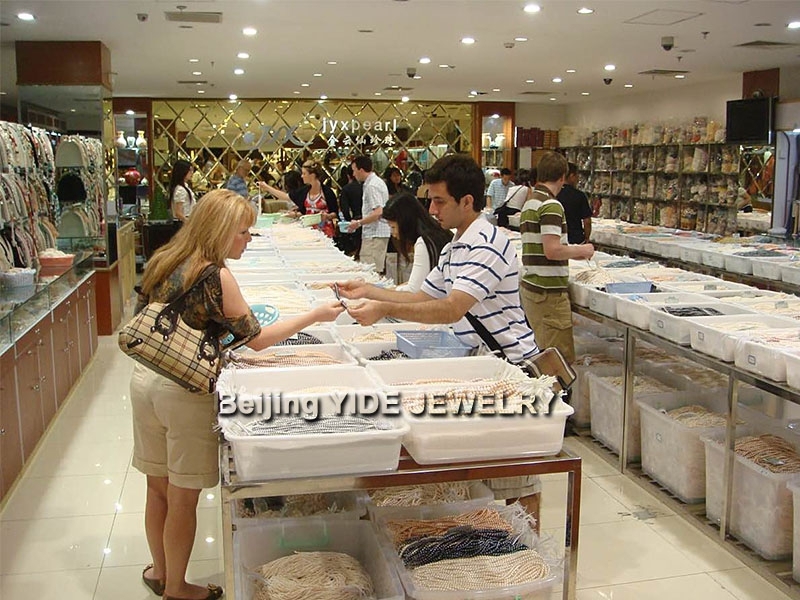 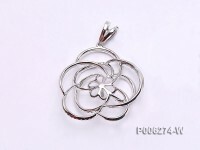 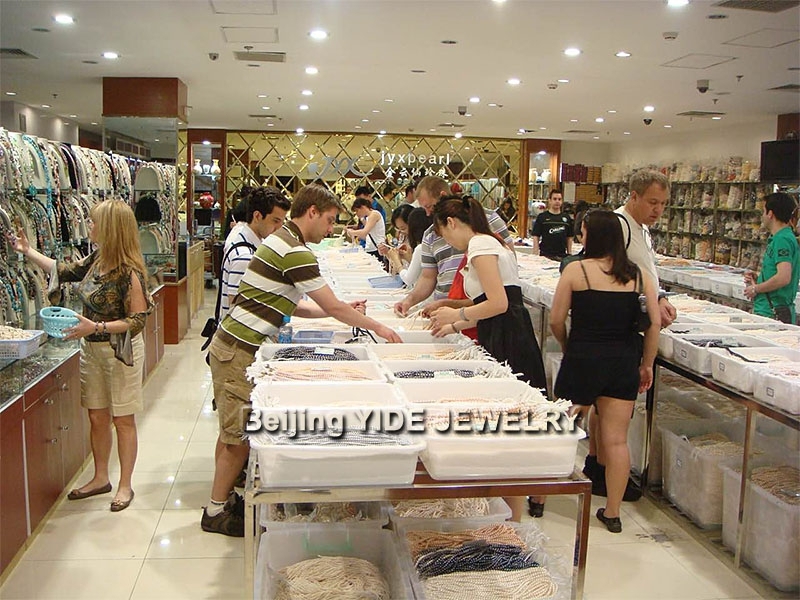 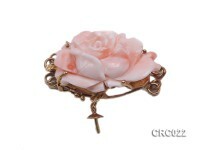 The entire silver accessory adopts hollow-out design inside and exquisite welding craft outside. It’s especially selected from our latest collection with brandnew style and perfect combination of golden and blue in color. 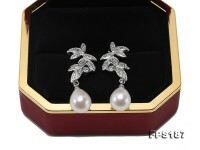 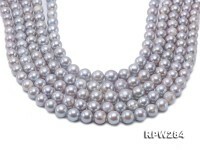 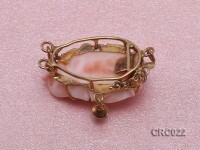 It will evidently well fit with all kinds of pearl and gemstone jewelries, revealing your refined taste to the full.